Ben Mirageas, a PC Friar recruit who will begin his Providence career in 2018 and Jacob Bryson, sophomore at PC were selected this past Saturday at NHL Entry Draft. 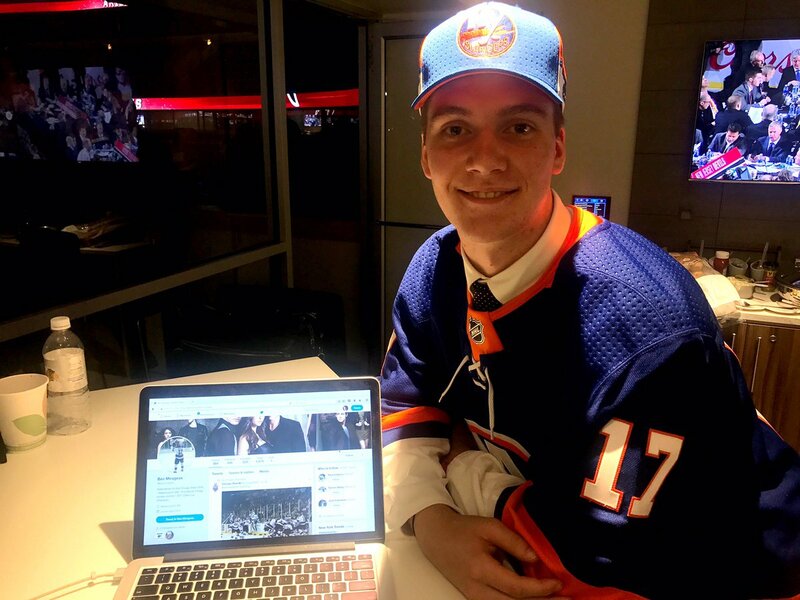 Ben Mirageas, from nearby Newburyport, Mass., was selected by the New York Islanders in the 3rd round with the 77th overall pick. Mirageas had a helluva May, helping the Chicago Steel win the United States Hockey League Championship over the Sioux City Musketeers in 5 games. Mirageas showed off his passing prowess with 10 assists in 14 games in route the the Championship. 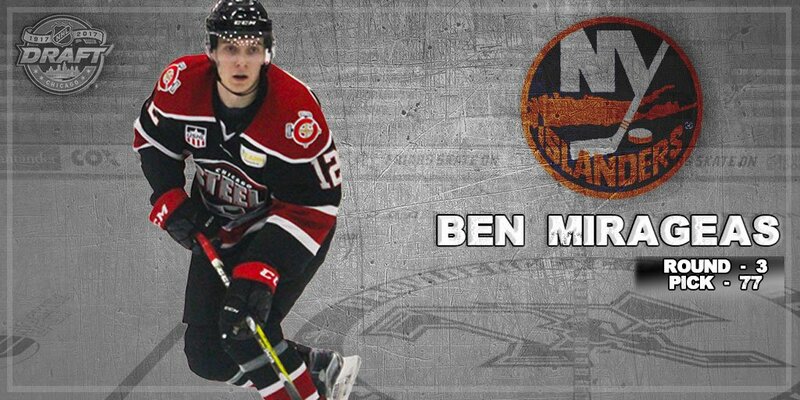 Ben started from down the road from me at Avon Old Farms for prep school before moving on to the USHL with the Bloomington Thunder. After requesting a trade from the Thunder, he ended up with the Chicago Steel and the rest, as they say, is history. Mirageas stands at 6’1” and 180 pounds and has been labeled as an offensive minded defenseman, although he persists that he has rounded out his game to be more of a two-way defender throughout last season in the USHL. Jacob Bryson, of Ontario, Canada, just wrapped up his Freshman year with Friars and scored 20 points in 39 games for PC last year. 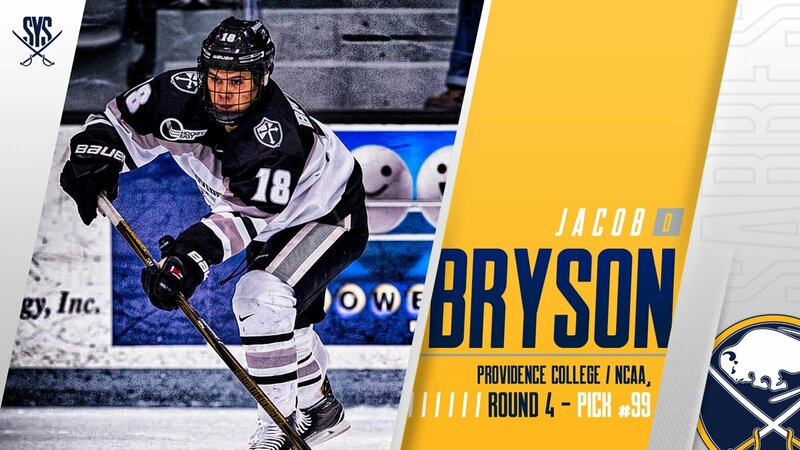 Bryson, also a defenseman, was selected by the Buffalo Sabres in the 4th round with the 99th overall selection. Bryson finished the season with 17 assists which was good for 3rd amongst Hockey East rookie defensemen and 6th in the entire NCAA for rookie defensemen. The Sabres apparently could see the development Bryson has already had at Providence.